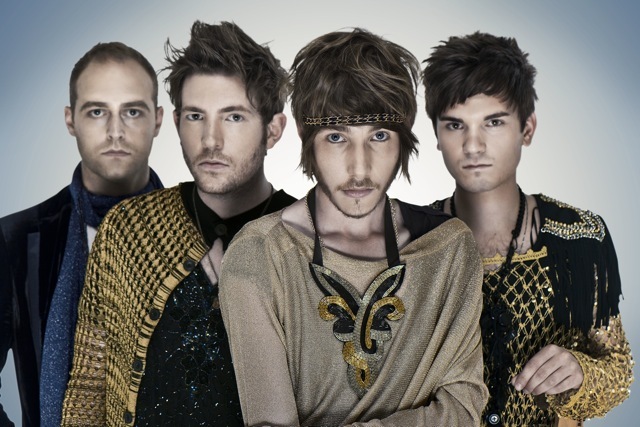 UK Electropop band Fenech-Soler, who consist of members Ross & Ben Duffy, Daniel Soler and Andrew Lindsay. The band have recently announced and released the video to their new single "Magnetic", out July 8th and can be pre-ordered HERE. The band have predominantly sung covers, but have since decided to start releasing their own music, create their own dance/pop sound, which works very well in their music. You can view the video for "Magnetic" here. You can also "Like" their page on Facebook, follow them on Twitter and listen to the rest of their tracks on SoundCloud. For those of you in the UK, they are currently on tour and will be playing at Reading, Leeds, Glastonbury and Victorious festivals. For tickets and more information, click HERE.